Internet security company McAfee has completed its acquisition of Finnish network security specialist Stonesoft. McAfee has completed its tender offer after receiving the necessary approval of the Finnish Ministry of Employment and the Economy. The deal was earlier valued at $389 million (£261 million). It said Stonesoft is now within its group and that all of its products and technologies are within the McAfee portfolio. Stonesoft employees are now part of the Network Security Business Unit. 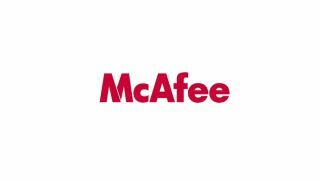 The move beefs up McAfee's offerings in the business network security market to complement its consumer security software. According to Gartner, the business network security market is set to grow at 7% annually to reach $11.4 billion (£7.65 billion) by 2017. Stonesoft made its name with its Security Engine platform, which brings together the management of firewalls, infection prevention security, single socket layers and virtual private networks. McAfee is flagging up the potential of its Next Generation Firewall, which uses Stonesoft technology. "This acquisition provides McAfee with a clear competitive advantage in the network security space and the industry has taken notice," said Michael DeCesare, president of McAfee.